The doll’s arms are attached via hook shaped connector and an elastic band inside the torso. Amazing feature (at least for me!) for a Souvenir Doll. I think this type was used during the 60’s to late 70’s or maybe they still used to this day. She does not have any markings on her body. So I do not know who she is. 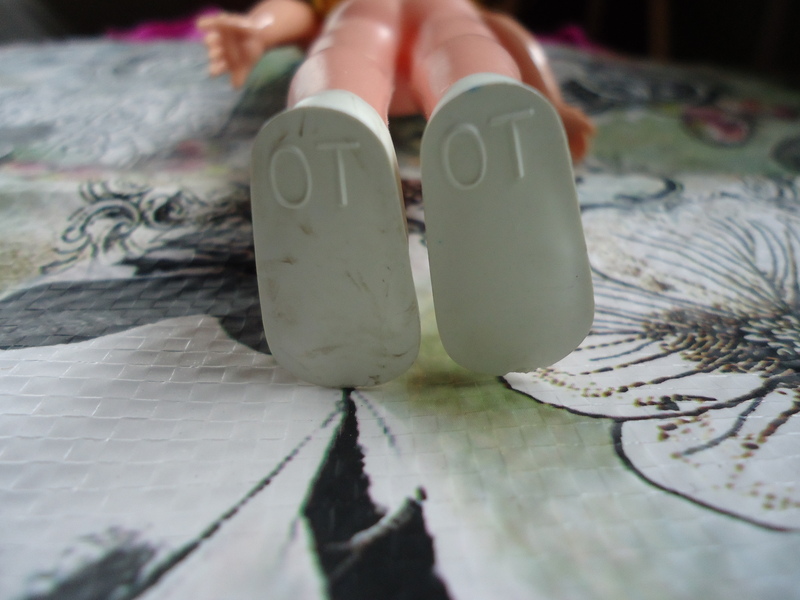 The only markings is on her shoes “OT OT” and it sounded funny when you read it ;-p. Whereas the other doll in my “Eerie” post has “Made In China” on her back, she does not have the same materials as the above doll. She is all hollow plastic except for the head which is breakable with sleep eyes, same type of hair was used. 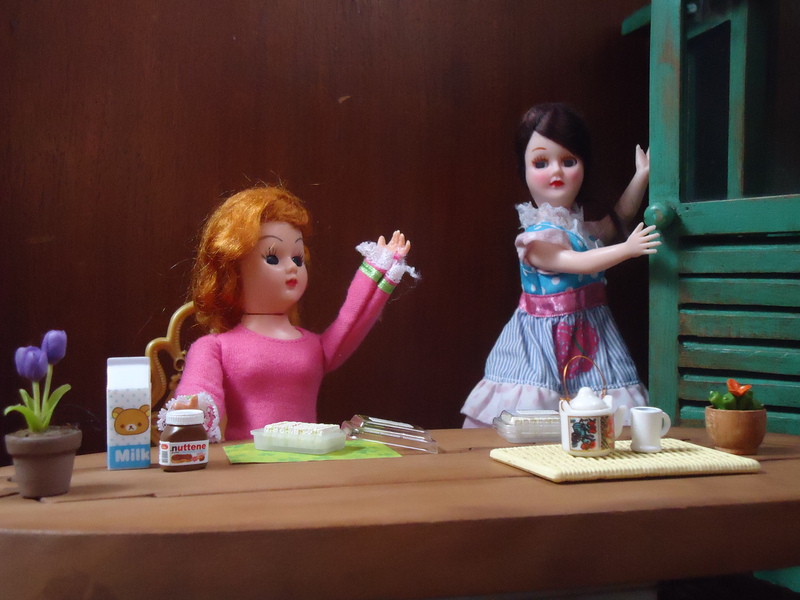 I’ve found several other souvenir dolls which I shall feature in my next post! Next Next post: Souvenir Dolls from Around the World!